What Is the Cradle Act, a New Paid Family-Leave Policy? Is the Cradle Act Better Than Nothing? At the time, my company offered two weeks of paid leave and the option to go on short-term disability from New York State, which paid out a portion of my salary. But just like my mom encountered as a computer programmer in the ’80s, there were no firm policies for covering a parental leave (for example, who would take on certain responsibilities and how that person would be compensated). The Family Medical Leave Act, however — signed into law eight years after my mom had me — guaranteed that my job would be waiting for me when I came back. While FMLA requires certain employers to hold workers’ jobs when they take up to 12 weeks away for a covered reason (the birth or adoption of a child, to care for a close family member with a serious condition, or because of their own serious health condition), it does not guarantee any form of pay during that leave. In effect, that’s America’s current federal leave policy: zero dollars, zero weeks. Earlier this month, Republican lawmakers brought forth new(ish) paid-family-leave legislation that purports to change that. Mirroring a failed Republican bill from last year, the Child Rearing and Development Leave Empowerment Act — the Cradle Act — would allow new parents to borrow from their Social Security to fund time away from work. By applying for the benefit now, parents agree to work additional months past retirement (up to six months), thus making more contributions to Social Security than they would otherwise. The idea is that Social Security is already set up to provide income for when Americans don’t work — and this expands that time from retirement to new parenthood. Critics have been quick to find fault with the proposal, pointing out that it wouldn’t cover workers taking leave for other reasons and that pulling from Social Security could cause further problems with the program. From a purely cynical perspective, though: Would it be better than what we have now? While the Cradle Act offers pay, it only applies to families with a new child, either small enough to fit inside an actual cradle and/or recently adopted. Unlike FMLA, it does not apply to workers with a sick child, spouse, or parent, and it ignores the worker who needs pay while attending to their own serious health condition. Nothing about this acknowledges that only 18 percent of FMLA usage is to care for a new child. Those serious shortcomings aside, it’s hard not to wonder if new parents desperate for an income in the weeks after welcoming a child wouldn’t also welcome a step like the Cradle Act. As things currently stand, only 17 percent of civilian workers have access to paid family leave. I’ve been atypically lucky in that respect: In the time since my first pregnancy, New York State has instituted a paid-leave program, which will eventually resemble FMLA — if FMLA included pay. My company also increased its paid-leave offering, from two weeks for primary caregivers to 14. Though the Cradle Act would mean workers were no longer at the mercy of geography and employers, it does force them to bet heavily on the future. Under the proposal, accessing Social Security early would require twice the amount of work as it covers. According to the office of co-sponsor Senator Lee, this is “to make sure the Social Security system is made whole” — and because doubling later on is what actuaries determined would be required to match the benefit. If you take one month after a new baby, you delay retirement by two. Two months, and you need to wait four months. Three months, half a year. As a financial planner told CNBC, “For someone with a heart condition, six months could mean a lot.” On the other hand, three months at home with some financial help (perhaps while recovering from a C-section or a premature birth) might be a bet on the future that the parent of a newborn would be willing to make. But it’s a bet that extends beyond just any one person’s future retirement — the Cradle Act depends on the overall strength of Social Security. While Republican lawmakers say the Cradle Act would deepen that fund pool by allowing more people to have kids who’d eventually contribute to it, skeptics have pointed out that Social Security is already in trouble, and using it for this purpose might only make things worse. Is a proposal like this one really the best we can expect? The solution she favors (and is working to pass) is a bill sponsored by Connecticut senator Rosa DeLauro and New York senator and presidential candidate Kirsten Gillibrand. The Family Act would allow new parents, sick people, or those with sick family members paid time off — up to 12 weeks — to attend to health needs. It would not have the FMLA’s limits on the kinds of workers (FMLA only applies to employers with more than 50 employees, for example) who could receive this benefit. Nor would it require workers to borrow from their future selves to pay their present ones. If my kids choose to become parents one day, I hope we’ve figured out something more like the above, something better than “better than nothing.” That I don’t wonder aloud at how little things have changed over the course of 30 years. 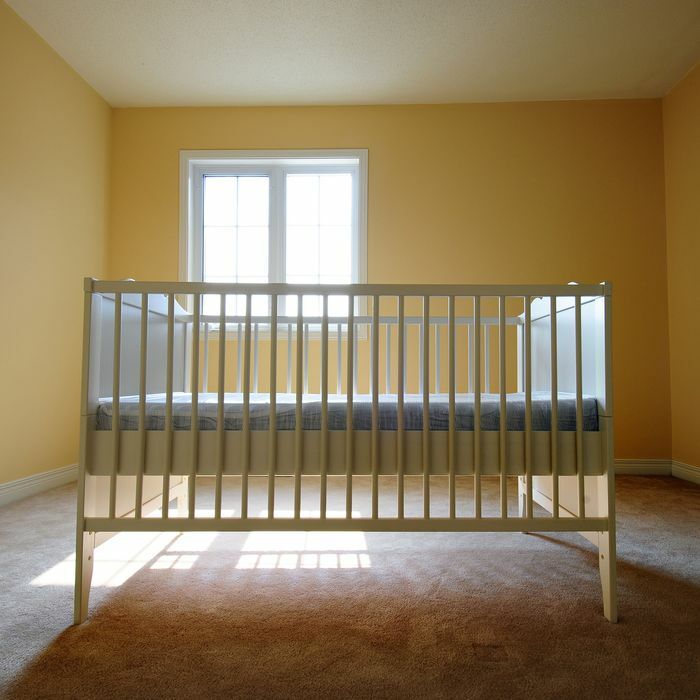 What’s the Cradle Act — and Is It Better Than Nothing?